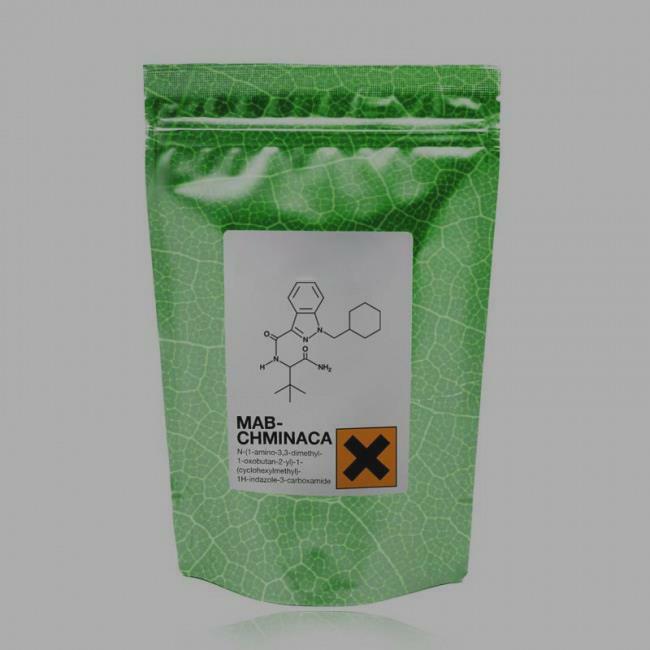 ADB-CHMINACA (MAB-CHMINACA) is a new synthetic cannabinoid with high potency.Analytical methods need to be developed to confirm ADB-CHMINACA intake for clinical and forensic programs. Dosage required for pharmacological effects in humans is unknown. Little is known about its absorption, distribution, elimination or time course. Investigation of the pharmacokinetics of ADB-CHMINACA has focused on delineation of its metabolism. There is emphasis on identifying unique metabolites that may be used for forensic purposes. Ten metabolites of chminaca-mab have been identified in human hepatocytes, with verification of the major metabolites in authentic human urine.. It undergoes extensive biotransformation that is focused on hydroxylation of its cyclohexylmethyl tail.